Microsoft Windows 7 has finally launched, bringing the critically acclaimed latest version of the world's most popular operating system. In keeping with the build up to the launch, Microsoft chose a low-key launch event, in stark contract to the glittering affair that launched the badly-received Windows Vista. Windows 7 has been a different beast throughout, however, and Microsoft's brave decision to release the beta for a huge public trial has very much paid off. Although there was the announcement of the Sky Player for Windows Media Center, much of the focus was on an OS that has already shown its quality and that is unlikely to be beset by the problems of its predecessor. Bringing a whole host of enhancements, Windows 7 is designed to be less irritating, better supported and more scaleable than Vista. 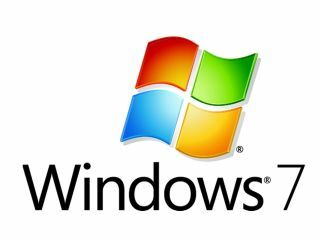 "Windows 7 is much more than just a collection of new features," said Microsoft UK's Managing Director Ashley Highfield, "it is actually a pivotal turning point in Microsoft's history it's really about us listening to what the consumers want and understanding this shift in consumer behaviour. "They don't want to be defined by being at work or at home they just want something to make their lives easier, simpler, more fun perhaps. "Windows 7 brings to consumers more choice and value than any previous Microsoft operating system. "We've worked with partners and consumers alike to deliver an improved user experience with enhanced performance and functionality that promote ease and simplicity in everyday tasks." Speaking to TechRadar, Julie Larson-Green – the Corporate Vice President of the Windows Experience – explained that the focus was on making Windows a good fit for the consumer. "We talk about it in the team as Windows is the theatre and we are trying to provide the great seats and beautiful velvet curtains and great sound but the movie is all about you. It's your movie and we're just trying to provide the backdrop. "You don't use a computer for Windows you use it for what the PC allows you to do, so that was big focus for us." Speaking about the less over the top campaign around the launch of Windows, Mrs Larson-Green explained how important the buzz generated by the public trial had been. "We want the product to speak for itself, and we want people to use world of mouth and what their experiences are to help sell windows it's about them and not about us. We wanted it to be word of mouth rather than us telling people. "It's great to see that we were able to do things that resonated with people."